The best and most authentic Celluloid Inlays from North Americas leading Vintage Restoration luthier Dave Johnson...we work more then 15 years with Dave together! From the same manufacturer in the 50's Now for the first time in over four decades! 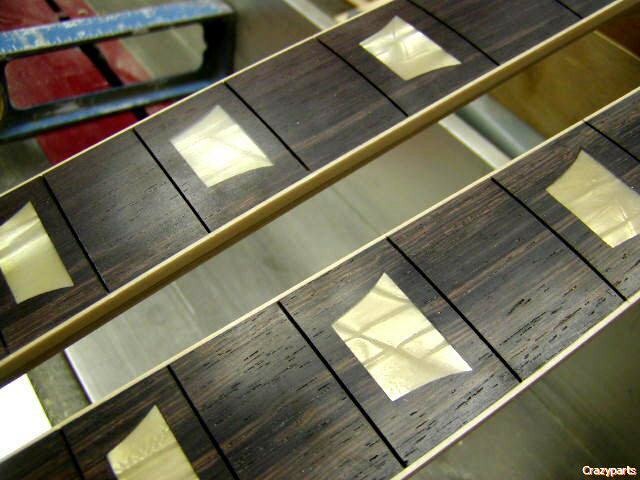 Real Cellulose Nitrate inlays with a pattern that is dead on to the patterns seen in most Les Pauls from the 1950's. 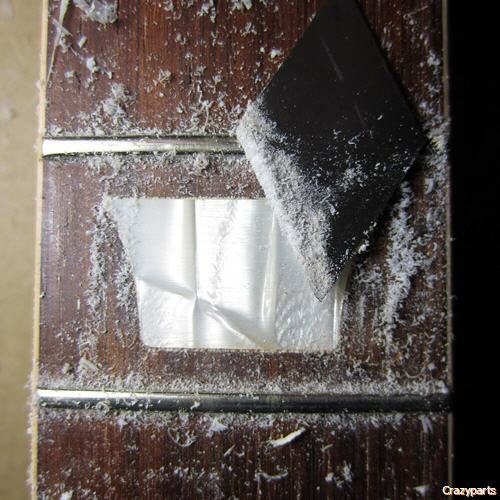 This material will have the same distinctive pattern as seen on most Les Paul's from 1957 thru 1960. The thickness is 0.070" with the pattern running thru the material to allow for sanding. Working with the original manufacture that supplied this material back in the 1950's. We were able to confirm the pattern style they used in the 1950's and specify the color and thickness we needed. 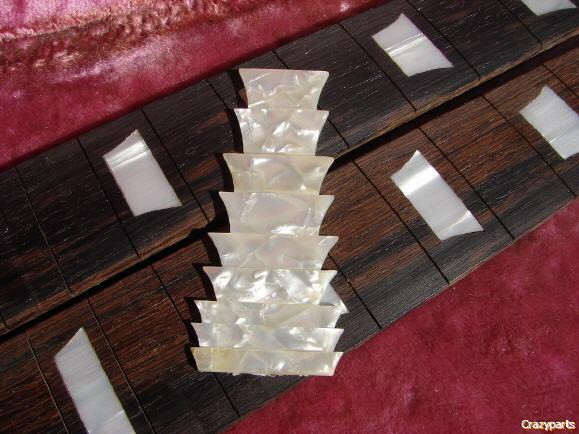 We will be offering 2 different shapes of inlays. One shape for current Historic Les Paul trapezoids and the other a vintage trapezoid shape for older Les Paul's & SG model guitars.